It seems as though Jones has as much to gain personally as Duke will benefit from his return. Likely, Jones is returning to Durham in hopes of becoming a more reliable 3 point shooter. If he can do that, his NBA draft stock should go up immensely. 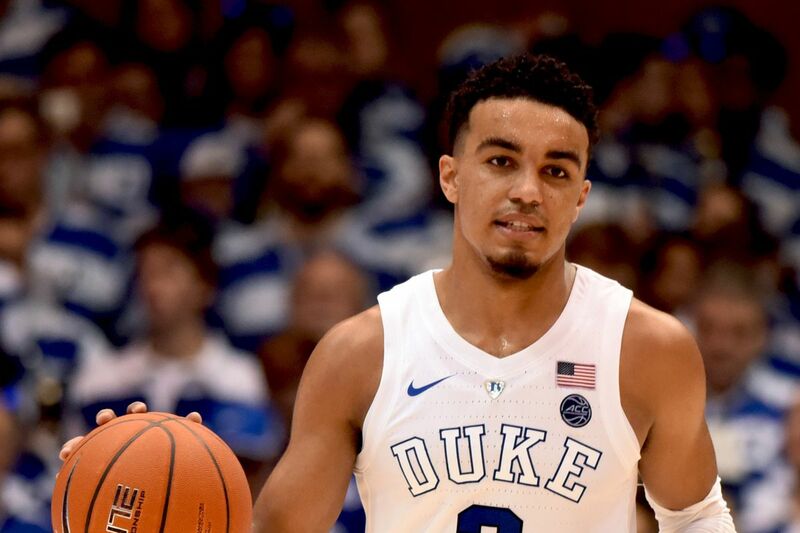 You can certainly imagine that Jones has plenty of good information to go on as his brother, Tyus, currently plays for the Minnesota Timberwolves. With Jones back, Duke's defensive profile gets an immediate bump. Jones pressure defense at the point guard position is perfect for the Duke man-to-man defense. On top of that Jones is a creator offensively and everyone should be happy to play with him. Even Matthew Hurt, an uncommitted class of 2019 recruit seemed excited about the announcement.